SIRVINTOS, LITHUANIA - August 3, 2014: Agricultural combine machine harvest ripe dry pea plants in farm field on August 3, 2014 in Sirvintos, Lithuania. Zoom out shot on Canon XA25. Full HD. Tripod. hd00:07SIRVINTOS, LITHUANIA - August 3, 2014: Harvester machine tresh pease plants in agricultural field on August 3, 2014 in Sirvintos, Lithuania. Stork birds. Static shot on Canon XA25. Tripod. 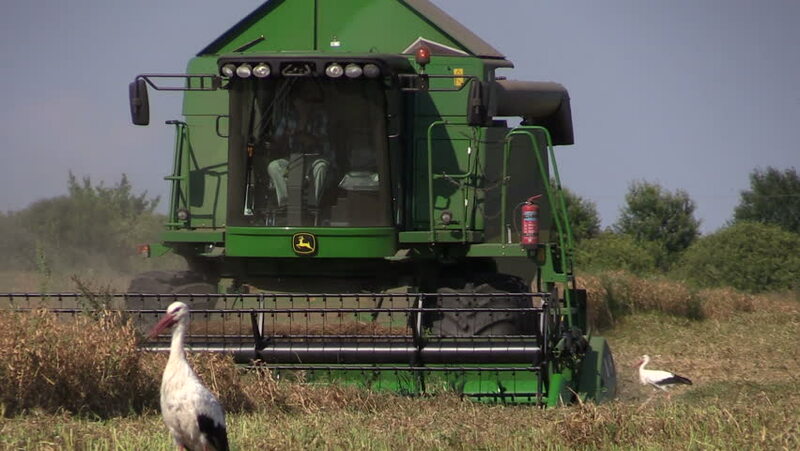 hd00:06SIRVINTOS, LITHUANIA - August 3, 2014: Agriculture combine machine harvest ripe dry pea plants in farm field on August 3, 2014 in Sirvintos, Lithuania. Zoom out shot on Canon XA25. Full HD. Tripod. hd00:17SIRVINTOS, LITHUANIA - August 3, 2014: Combine harvester harvest dry pease plants in agricultural field on August 3, 2014 in Sirvintos, Lithuania. Stork birds. Panorama shot on Canon XA25. Tripod.